Today, politicians wage vicious war over entitlements and welfare, but there was a time when citizens expected nothing from the Federal government except mail delivery. The Civil War changed all that. Beginning with small payments to seriously wounded soldiers, the system expanded step by step until age alone could bring a pension. In 1890, 37 percent of the entire Federal budget was in direct payments to veterans or their widows. 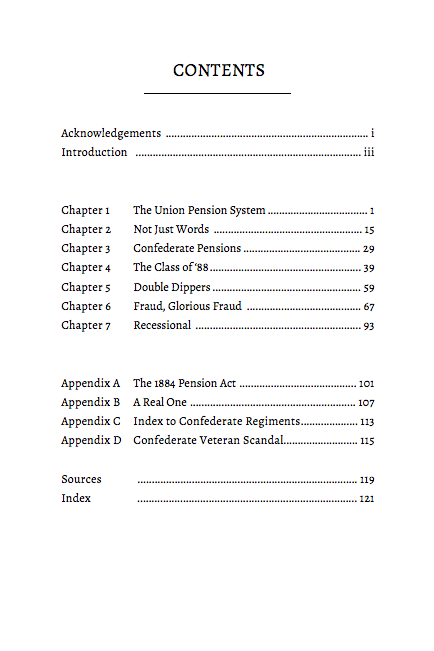 This story of the pension industry begins with the author’s own great-grandfather who was a multi-millionaire, yet collected a Civil War pension. His widow was still collecting her share as Franklin D. Roosevelt began the New Deal. The whole pension system became a Perfect Storm, in which at least five factors reinforced each other. The first, of course, were the veterans themselves with their disabilities, both real and imagined. Then there was George Lemon, whose national newspaper agitated in every issue for increased benefits. Politician “Black Jack” Logan’s wild-eyed oratory gave further momentum to the call for more benefits. The Republican Party rode to decades of success by promising veterans bigger checks, and finally there was the Grand Army of the Republic, the greatest lobbying group in American history. 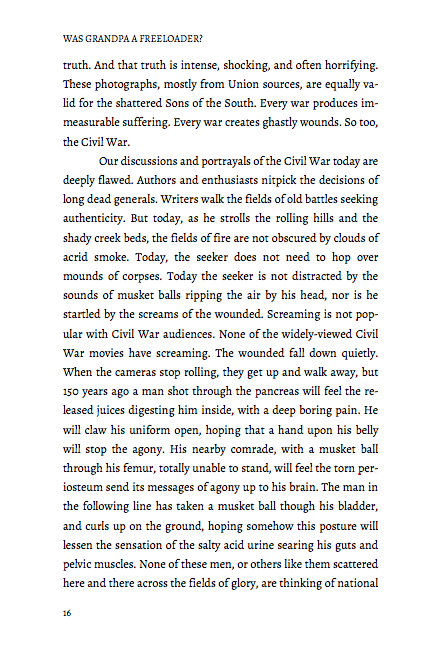 One of the strangest conflicts in veterans’ industry was: Who was the oldest living Civil War veteran? In an analysis based on the original records, the author shows that almost all of them were complete frauds. The strange and often amusing tales of their self-promotions and political sponsors are little gems in our nation’s story. 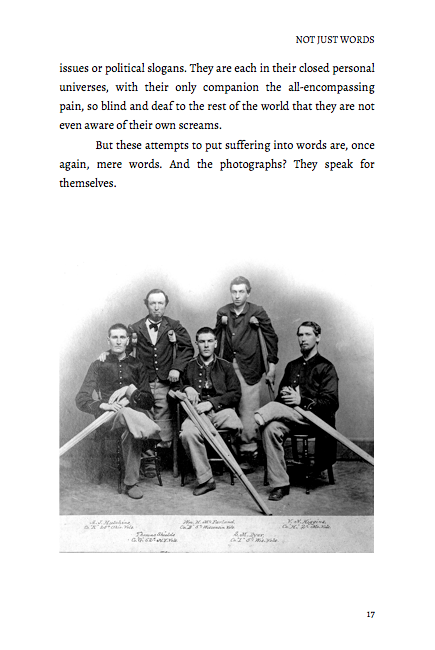 To give visual immediacy to the words on paper, one whole chapter is devoted to photographs of the hideously wounded men who survived the war. 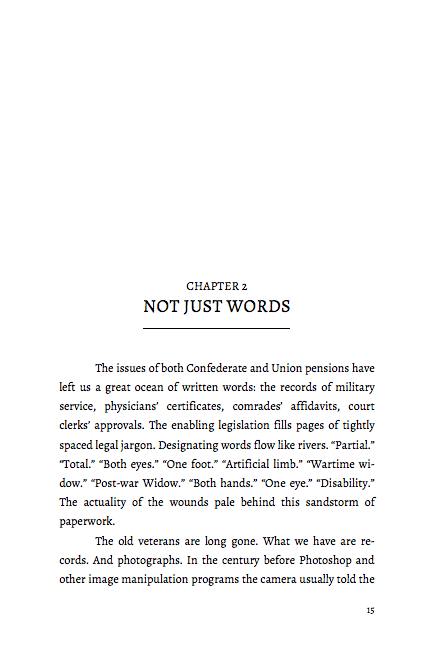 As for the South, with the Confederacy gone, each state took its own path in providing pensions or lack thereof. An analysis of dozens of Virginia pensions tells much of suffering and local politics. 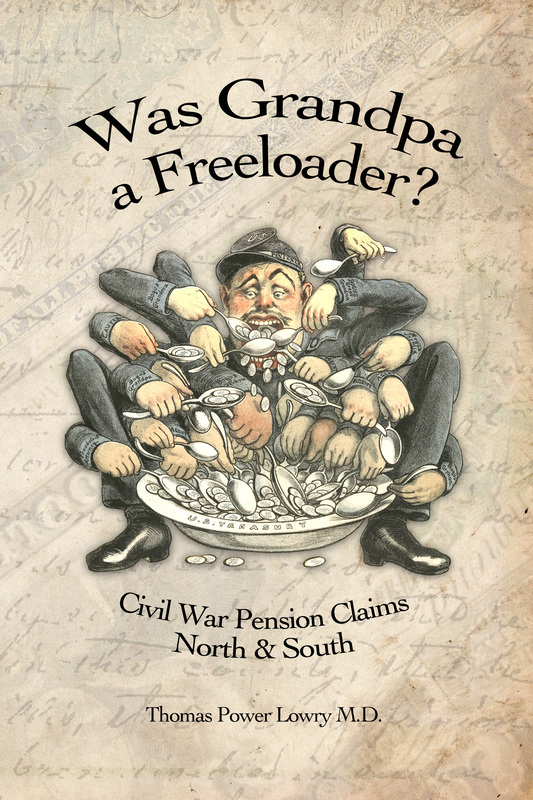 Based entirely on original historical records, Was Grandpa a Freeloader? opens a light-hearted but factual vista onto a largely forgotten half-century of the story of our nation. The Grand Army of the Republic, a veterans’ lobbying group, even rated its own postage stamp. 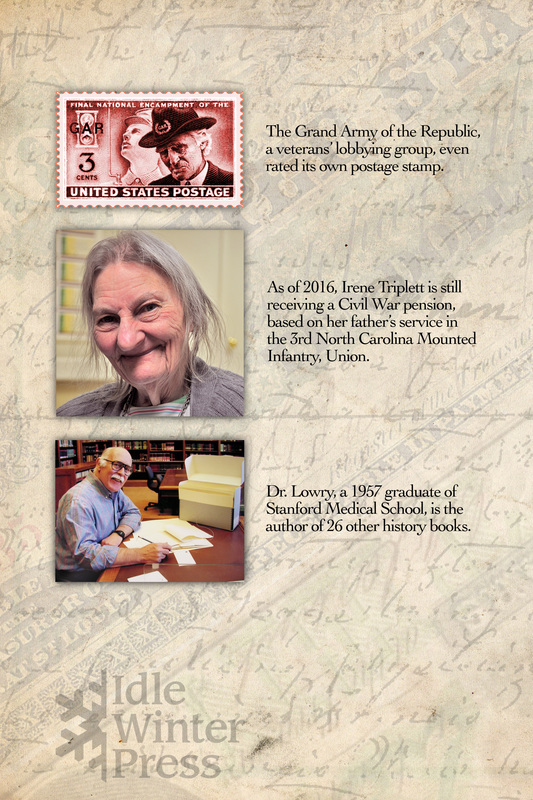 As of 2016, Irene Triplett is still receiving a Civil War pension, based on her father’s service in the 3rd North Carolina Mounted Infantry, Union. Dr. Lowry, a 1957 graduate of Stanford Medical School, is the author of 26 other history books.